Yuritopia is just around the corner! 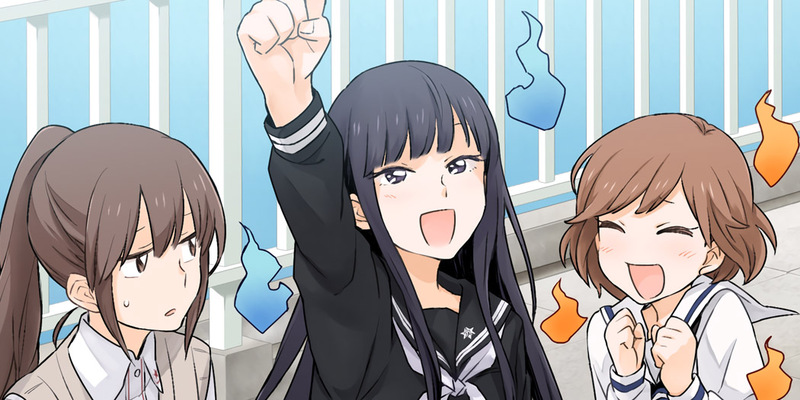 Today we have a demo of the game to share, and let’s take a little look at the game’s interface, since I think it’s part of Kindred Spirits‘ charm. After playing through the first scene in the game, you’ll be brought to its main hub, the Planner screen. 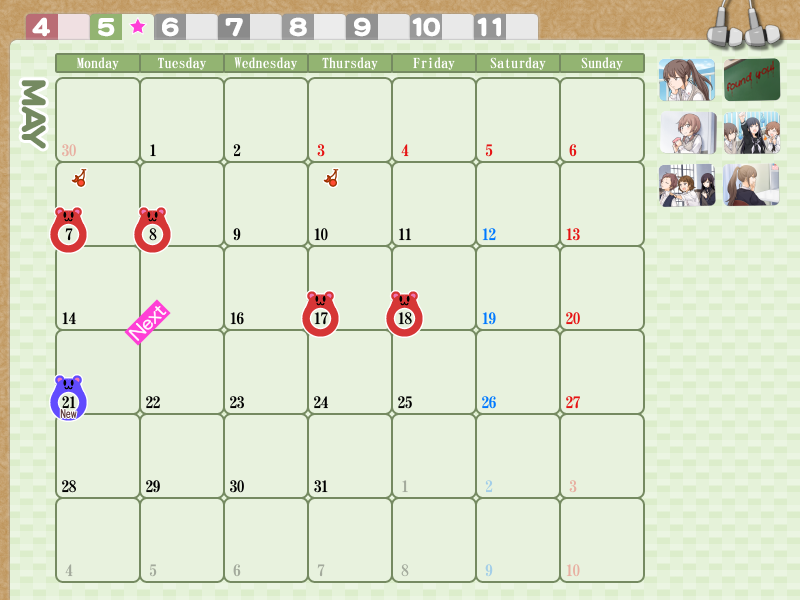 This screen lists the scenes you’ve unlocked on their corresponding calendar dates and is where you can view CGs you’ve seen before, by clicking on their thumbnails, and listen to the game’s music, by clicking the headphones in the upper right corner. 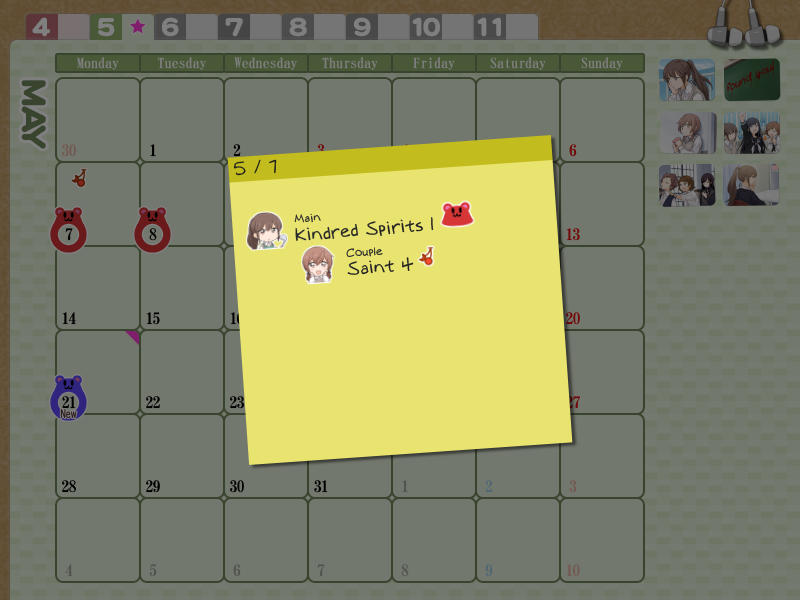 When you click on a date on the Planner, you see a memo that lists the scenes available on that day by name, scene type, and narrator. Since scenes are unlocked on the Planner screen like this, you can easily re-read any scene you’ve read before, and the game will remember which scenes are unlocked, so there’s actually no need to save unless you want to stop playing in the middle of a scene. For the most part, you’ll progress through the game a month at a time. First you’ll see the events of the month from Yuna’s perspective in the main scenes, then you’ll get a look at what each relevant couple was doing in that month from their points of view. The demo will give you the first two months of scenes as normal (there are only a few in April), and then instead of moving on to new main scenes in June, you’ll skip straight to the first few scenes with the remaining couples, to get a little introduction to every character. 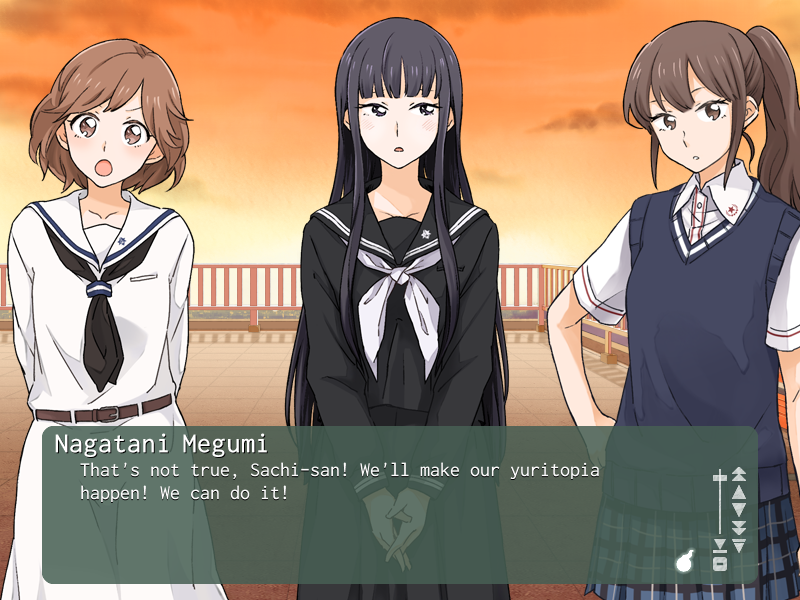 I hope you enjoy the demo, and if you do, help us make Yuritopia a reality by pre-ordering today! Incidentally, there is no adult content in the demo. Show it to all your friends! You can download the demo right here and if you pre-order Kindred Spirits now you can snag it at 15% off! Tagged kindred spirits, liarsoft, yuri. « The 2nd Annual Licensing Survey is Open!